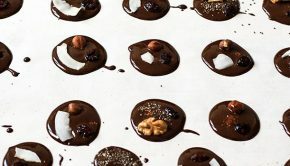 Editor’s note: this post was originally published in May 2014. Images have been updated, but the attractions are still free admission, like before! 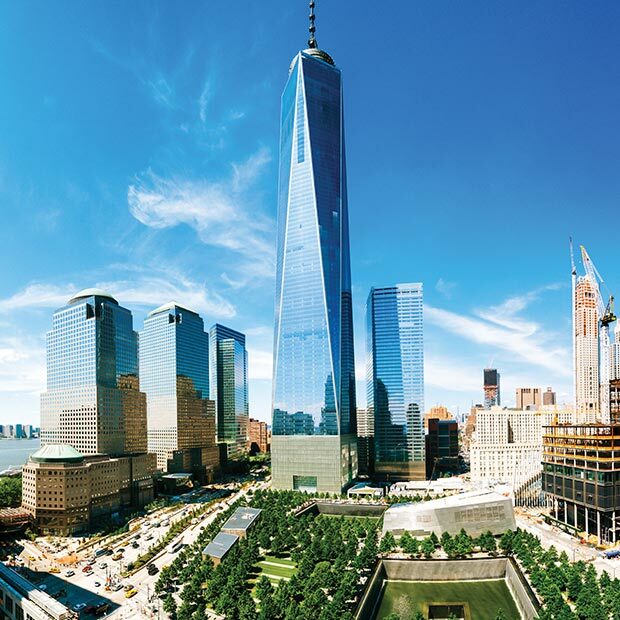 New York City offers many diversions, which can quickly add up if you don’t budget wisely. 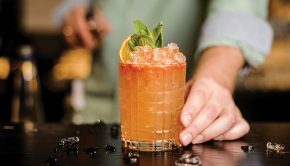 There’s no reason you can’t experience it on the cheap, especially if you use this quick list of fun and free things to do and see in NYC! New York isn’t your average city and this isn’t your average park. 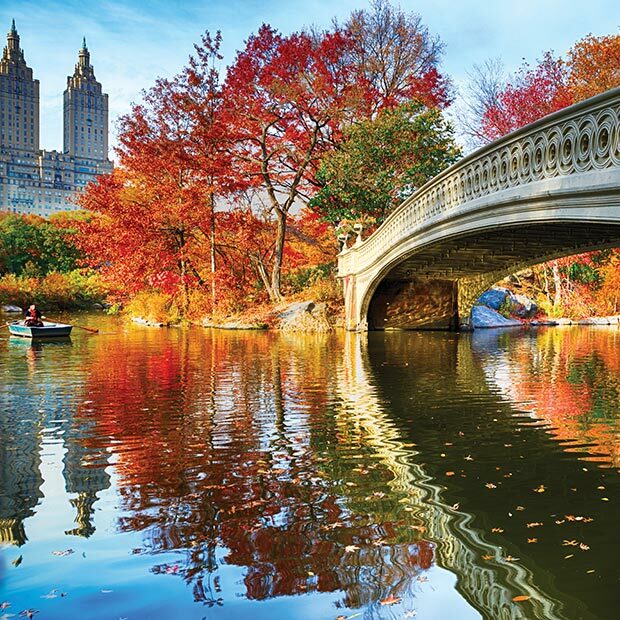 A perfect escape from the concrete jungle, Central Park is an 843-acre masterpiece of still life nature and vibrant activity. The park is a New York City emblem, taking on a character of its own in countless films over the decades. If you’re there, be sure to visit the famous Bethesda Fountain as well as Strawberry Fields and the “Imagine” mosaic commemorating John Lennon. 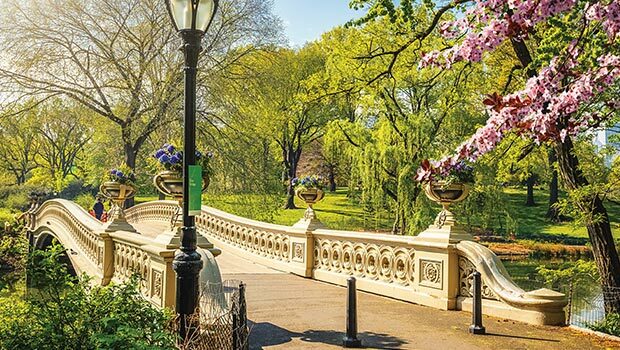 Whether you enjoy people-watching, admiring natural beauty, free concerts and cultural events, or simply need some fresh air and exercise, Central Park delivers. No wonder it’s the most known and beloved urban park in the world. 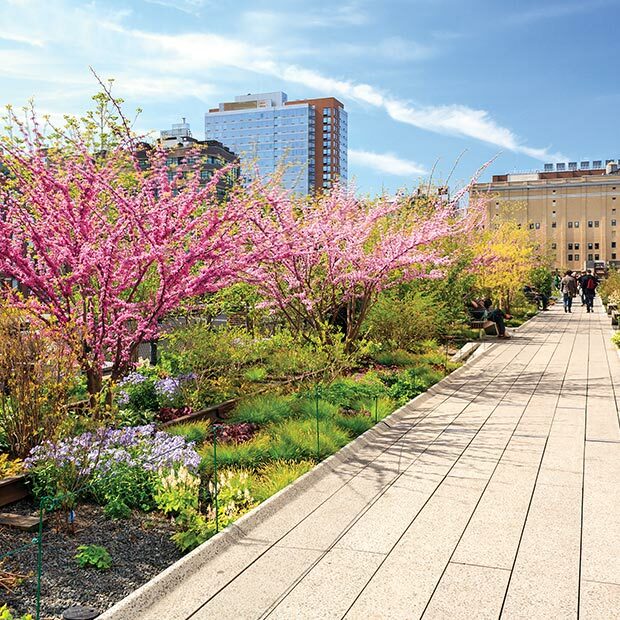 If you’re seeking something more intimate than sprawling Central Park, walk the High Line. This free public park is built on a historic rail line, elevated above the streets of Manhattan’s West Side. This bird’s eye view allows you to stop and admire the city’s characteristic architecture from a unique vantage point (and without walking into bustling New York pedestrians at street level!) The High Line path also acts as an outdoor gallery, where sides of buildings have been transformed by street artists into canvasses, showcasing explosions of colours in eye-popping murals. The walk is open daily from 7 am to 10 pm. Feel the pulse of Manhattan when you visit its heart– Times Square– which will be sure to get your heart ticking! This kinetic and colourful plaza, which in recent years was transformed to a pedestrian-friendly promenade, teems with retailers and restaurants. 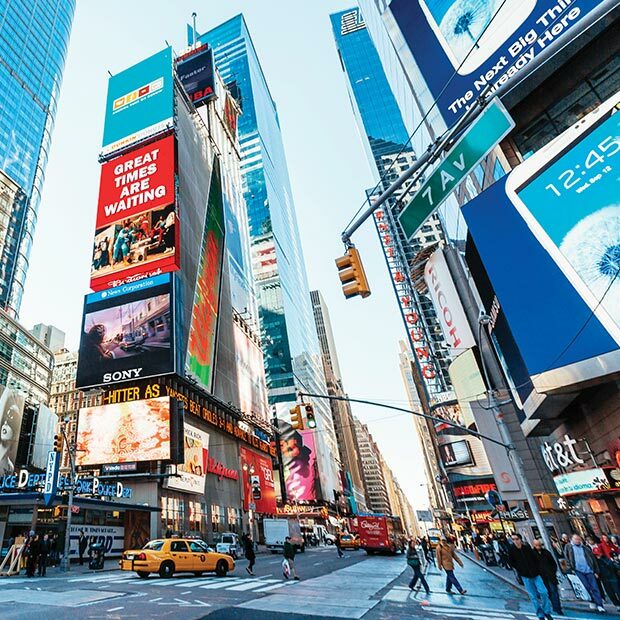 Although it’s flashy and touristy (it is, after all, one of the world’s most visited tourist attractions) the spectacular billboards are one of the distinct NYC sights you see in the movies, giving you the thrilling sense of truly being in the Big Apple. 4. Check out Broadway & Fulton St. 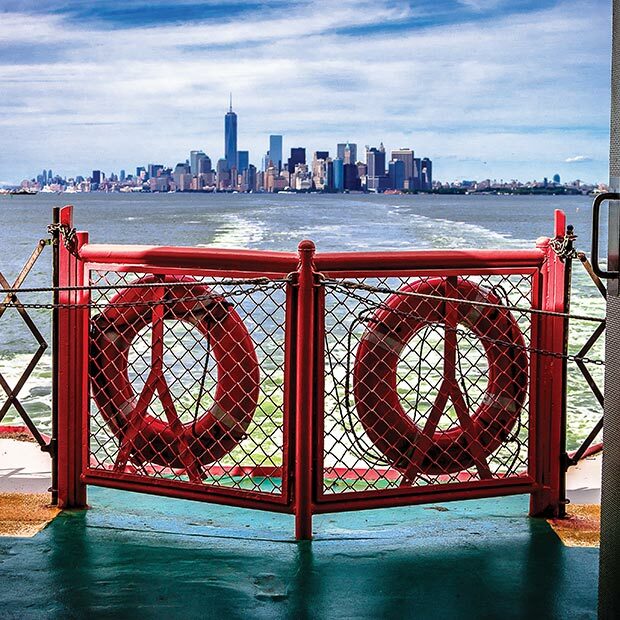 This 25-minute ride provides a majestic view of New York Harbor and the Statue of Liberty. As an iconic New York landmark, Lady Liberty stands for international relations, friendship and her nation’s values, which is worth spending money to see–but it’s more liberating on your wallet when you can see her for free! While there are proper ferry tours to view the grand dame, those cost money. Simply hop on the free Staten Island Ferry at Battery Park. Ready to experience New York for yourself? Visit your closest Flight Centre travel agency, browse our New York flight deals or call 1-877-967-5302 to speak with an NYC expert.